Bargain Britain. 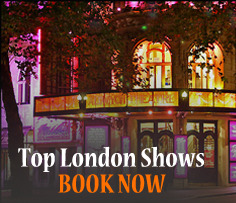 Now is the time to visit London! Grab a bargain and visit London whilst the Olympics are on. Discount flights, cheap theatre tickets, last minute sightseeing, hotels reduced by up to 70%. 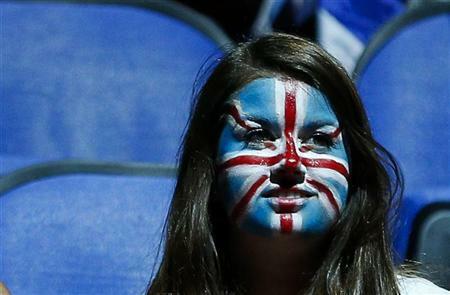 (Reuters) London tourist trade suffers from Olympic effect. Tube trips are surprisingly easy, shopping on the high street is down in central London, hotel bookings and prices are off their peak, while theatres and London cafes suffer the Olympic effect. Economists have long warned that the Olympics may not provide much of a boost at this stage for Britain’s recession-hit economy as most of the construction work and investment has been done in the run-up to the Games. Now, early evidence appears to be bearing this out. Warned repeatedly for months about the strain London’s transport system would experience with the expected arrival of 11 million visitors to the Games, Londoners and the usual non-Olympic seasonal visitors appear to have vanished from the underground train system, the shopping districts, theatres, hotels and abandoned other traders who benefit from tourism. The British government’s budget watchdog OBR pointed out in March that some visitors may cancel or delay trips to London in order to avoid the crowds and potential travel disruptions. “Given the uncertainties and the relatively small size of any possible effects, we assume that, apart from the ticket sales effects, the Olympics will not have a material effect on the quarterly path of GDP,” the OBR said. Britain’s government is trying to boost foreign investment and stimulate the private sector, while keeping to a strict austerity budget, and hopes the Olympic Games – the first to be held in Britain since 1948 – will showcase Britain as a business destination. Prime Minister David Cameron hopes that will help assuage critics who see the 9.3 billion pound (14.5 billion) cost of hosting the Olympics as too expensive given Britain’s strained finances. London’s much criticised public transport system, the busiest in Europe, won early gold for easily carrying a million spectators through an unusually quiet early rush hour on the first full working day of the Olympics on Monday. Travellers said buses and trains were working surprisingly smoothly with only a few hiccups, confounding dire forecasts of a transport meltdown in a city once notorious for slow trains, late buses and incoherent delay announcements. London’s transport bosses expect an extra 3 million journeys per day during the Games on top of the usual 12 million, an Olympian test for an underground train network whose infrastructure in parts dates back to 1863. “I’ve noticed how easy it has been to travel. With the influx of one million people for the Games, it’s made me wonder, where are they?” Paul Richardson, a 37-year-old photographer, told Reuters on Monday at London Bridge, which the authorities had warned commuters to avoid. Part of the lighter load has come from those office workers who have been instructed or allowed to work from home while the Olympics are on. Consultancy firm KPMG told Reuters that it expected some 50 percent of its 5,500 staff in London to work flexibly at some point during the Games. “That could mean working from home, or a different office, or varying hours,” a KPMG spokesman said. Most theatres in London’s West End have not seen traffic increase or fall for advanced August bookings and shut down last Friday to avoid clashing with an opening Olympic ceremony, which starred Britain’s Queen Elizabeth, Society of London Theatre President Mark Rubinstein told Reuters on Tuesday. He said the anecdotal evidence was that there seemed to be a lot of people on the streets of London, but much of the seasonal London tourist traffic seems missing from the West End. “There’s been fewer people buying tickets on the day,” Rubinstein said. Britain’s two biggest airports said they had seen no significant increase in the number of passengers flying abroad while Eurotunnel said outward bound bookings on Channel Tunnel trains were slower than usual. More than 10 million people braved torrential rain and then scorching summer temperatures to see the Olympic flame on its 8,000 mile (12,870 km) journey across the length and breadth of the United Kingdom, according to Games organiser LOCOG. Only one in 10 travellers is leaving London to avoid the Games, according to a survey by the Association of British Travel Agents. Seven out of 10 Londoners were even looking forward to the Games, the survey showed. “Numbers taking holidays at this time are fairly consistent with past years,” said ABTA spokeswoman Victoria Bacon. “While some have chosen to forgo a summer holiday during the Games, these have been balanced by those wanting to get away,” she said. That statistical and anecdotal evidence contrasts with the doomsday predictions by some of the British media that Londoners would flock to foreign shores to avoid the security checks, crowds and chaos of the Olympics. Retailers in central London have also reported disappointment with the Olympic effect so far. Jace Tyrrell, spokesman for New West End Company, which represents more than 600 retailers, property owners and businesses in central London, said they expected a change in trading patterns, but that advice from Transport for London (TfL) warning commuters may be working better than intended. “TfL’s advice in terms of capacity on the network has almost been too successful,” Tyrrel told Reuters, adding that shopper numbers were down but there were more high-spenders in the British capital. However, retail areas near the Olympic Park such as the vast Westfield shopping centre at the entrance were booming. John Lewis, Britain’s biggest department store group, said its store at Westfield Stratford, which borders the Olympic Park, saw sales double in the week to July 28. 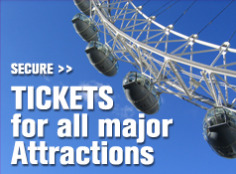 Other London tourist attractions also complained that there has been a 30 to 35 percent drop in visitor numbers at the height of their summer high season, when schools are out and many people take their vacations. Bernard Donoghue, chief executive of The Association of Leading Visitor Attractions, the body representing London’s top tourist attractions such as the London Zoo, St Paul’s Cathedral and Westminster Abbey said the statistics apply to overseas and domestic visitors. Hotel wholesaler JacTravel said room rates are back to normal levels, as an early peak in prices has faded as LOCOG returns previously booked rooms to the market and as the Olympic Games deters normal London tourists. Restaurants and other hospitality business owners such as cafes have also been bemoaning the quiet streets of London. “It is very quiet,” said Duli Konjuhi, who runs a coffee stall right at the exit of Aldgate tube station in London’s City, the old banking district, where usually bankers and office workers line up for their after-lunch shot of caffeine. The waiter explained that many Londoners were working at home or avoiding the city for the duration of the Games. “It’s a disaster for us,” he said. Posted on August 1, 2012, in Discount London, London 2012, Sightseeing Tours, Travel Tips, Visit Britain, Visit London. Bookmark the permalink. Leave a comment.